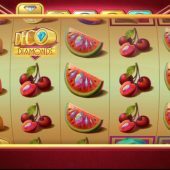 Deco Diamonds is a 5 reel, 3 row slot with 9 fixed paylines. It has been developed by Just For The Winunder the guidance of larger gambling group Microgaming. This fruit machine / AWP style game is available on desktop, mobile and tablet in landscape view. The game contains re-spins with sticky reels as a feature as well as a bonus wheel with a 1000x top prize. 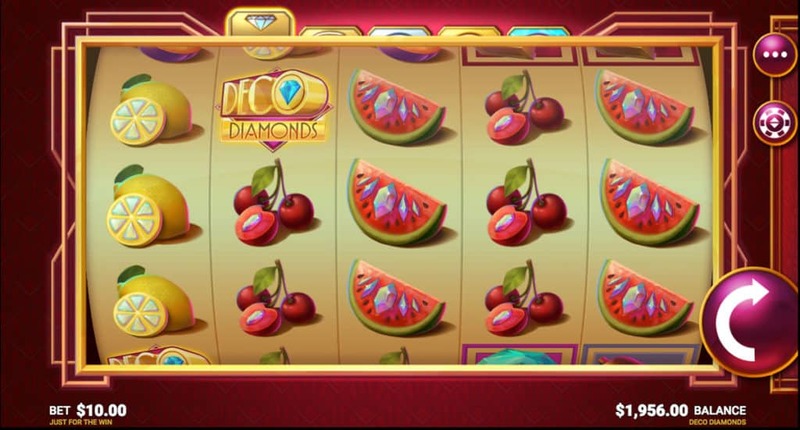 Deco Diamonds is a volatile slot offering a max win of 2,323 times your bet. This is only possible if you hit the big wins on the re-spins and then get the 1,000x max win in the Diamond level of the Bonus Wheel. You may also want to try Goldwyn’s Fairies which is also a Just For The Win/Microgaming partnership.